Researchers at UT Southwestern Medical Center have found that blocking one of the enzymatic steps that allow the tumor to produce androgens could be the key in halting a tumor’s growth. The findings, appearing online and in the August issue of Endocrinology, suggest that this step might one day provide a new avenue of therapy for patients with end-stage prostate cancer. Health care experts estimate that more than 2 million men in the U.S. have prostate cancer, with more than 27,000 deaths related to the disease in 2009. “We were able to block the androgen response, which is a central pathway for tumor progression,” said Dr. Nima Sharifi, assistant professor of internal medicine and the study’s senior author. End-stage prostate tumors typically are treated with hormones that suppress the levels of the androgens, or male hormones like testosterone, that cause prostate cancer cells to grow. Eventually, however, the tumors become resistant to this therapy and resume their growth. Using prostate cancer cell lines, Dr. Sharifi and his colleagues found that the hormone dehydroepiandrosterone (DHEA) is converted by the tumors into androgens. By blocking the enzyme 3β-hydroxysteroid dehydrogenase (3βHSD), which is responsible for the first enzymatic step that is required to convert DHEA to androgens, researchers were able to shut down the tumors’ lifeline. No standard treatments currently target this enzyme, but there is proven clinical evidence that this pathway is central to driving tumor progression. Other UT Southwestern researchers participating in the study were lead authors Dr. Kristen Evaul, postdoctoral researcher in internal medicine, and Rui Li, research assistant in internal medicine; Mahboubeh Papari-Zareei, research associate in internal medicine; and Dr. Richard Auchus, professor of internal medicine. The study was supported by the Howard Hughes Medical Institute, the Prostate Cancer Foundation, the Army Medical Research and Materiel Command, the Burroughs Wellcome Fund and the Charles A. and Elizabeth Ann Sanders Chair in Translational Research. 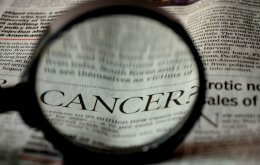 Visit http://www.utsouthwestern.org/cancercenter to learn more about clinical services for cancer at UT Southwestern.